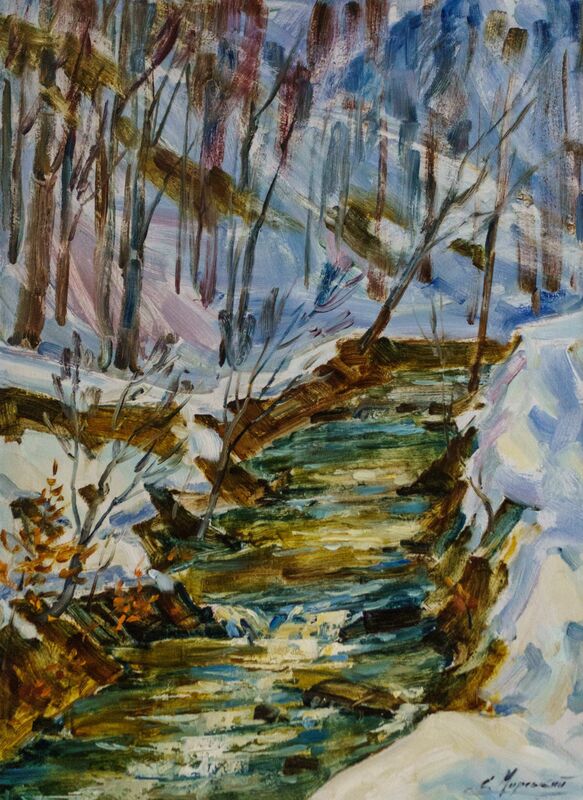 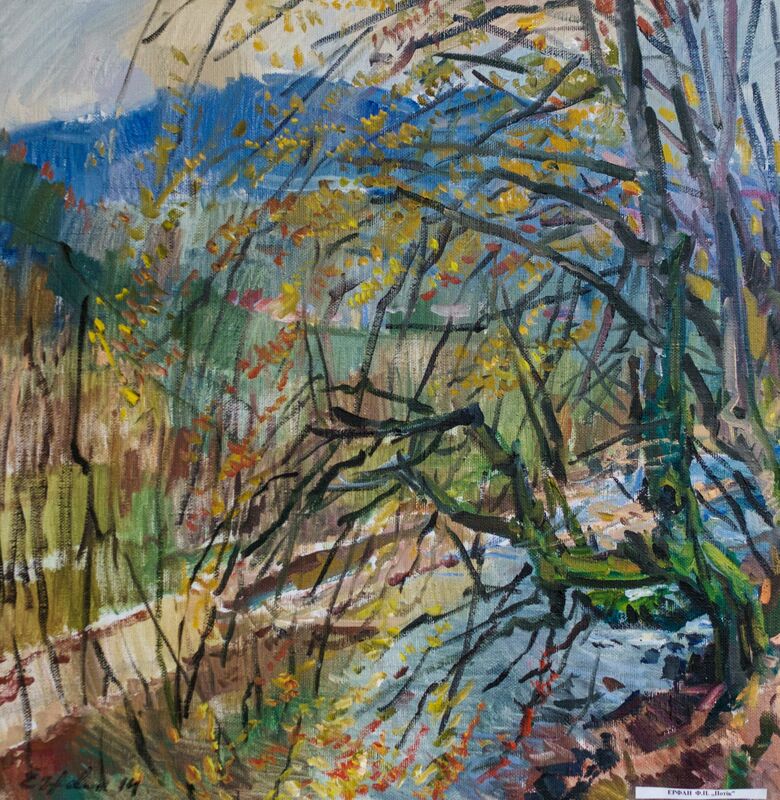 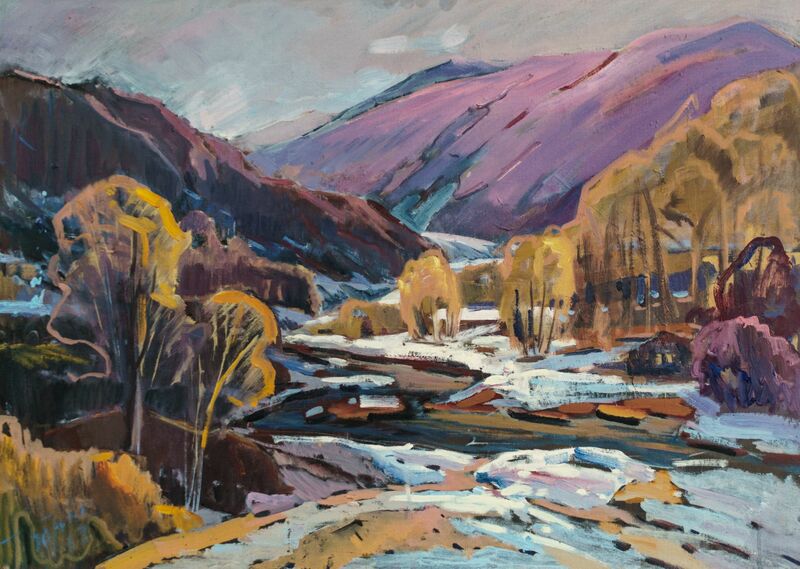 The exhibition of the plein air works entitled "Winter-2017" was presented on April 24, 2017 in the hall-atrium of the Transcarpathian Regional State Administration by the members of the Union of Professional Artists of Transcarpathia. Among the exhibited authors - Vasyl Brenzovych, Stepan Sholtes, Frantsysk Erfan, Vladyslav Hanzel, Petro Haiovych, Serhii and Liudmyla Chyrski, Robert Tovt, Oleksandr Andialoshi, Liudmyla Borshosh-Litun, Vasyl Brenzovych (junior), and Anatolii Brenzovych. 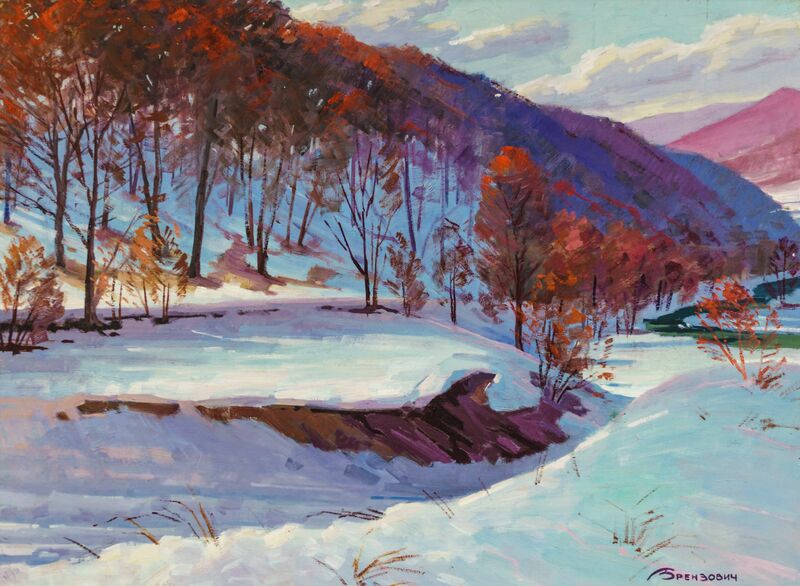 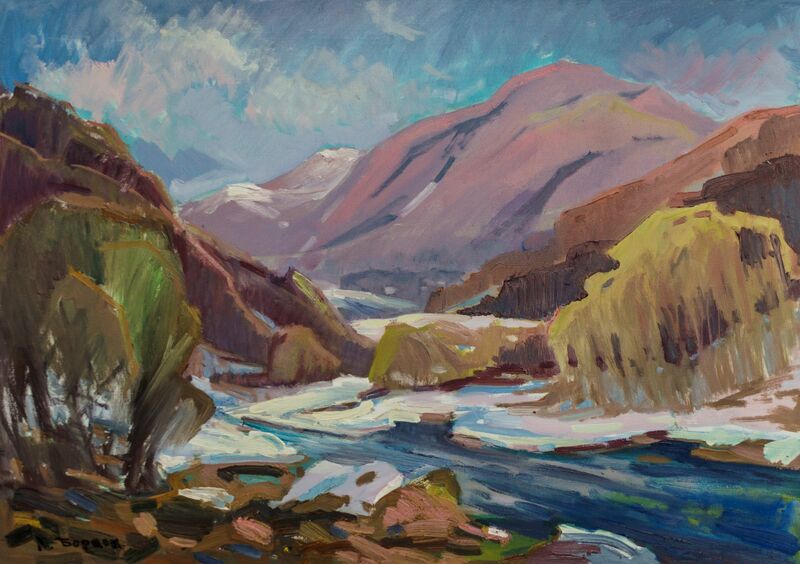 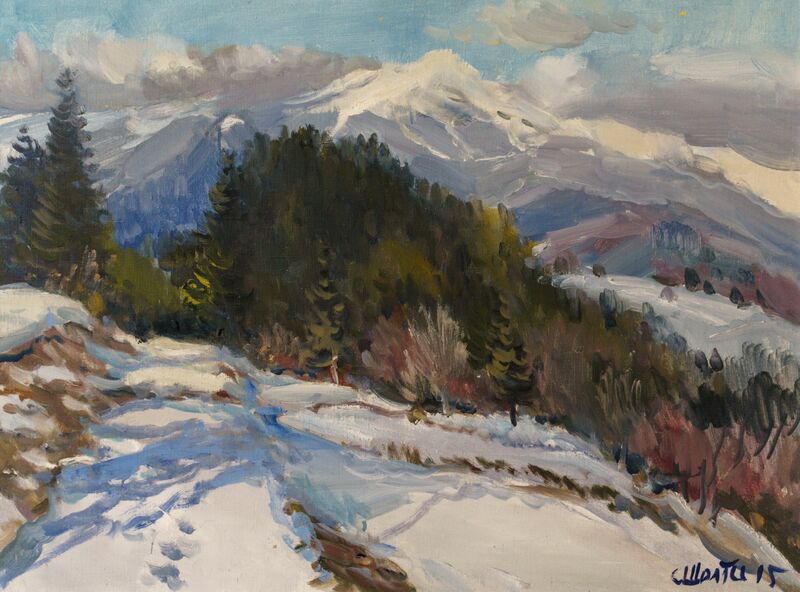 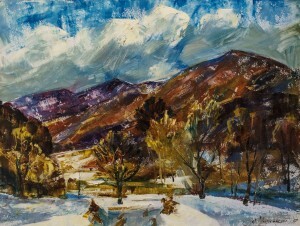 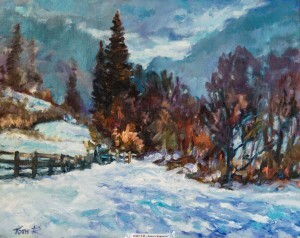 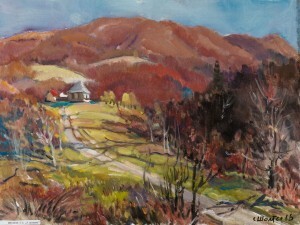 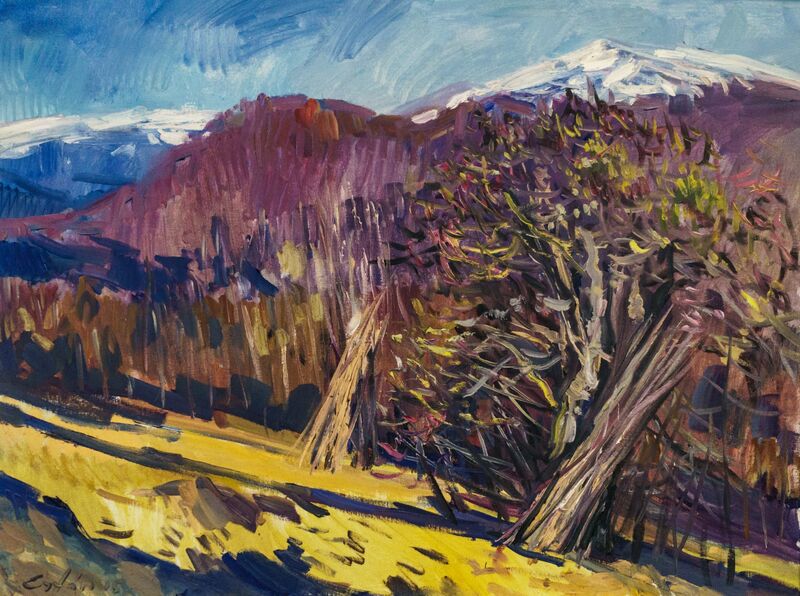 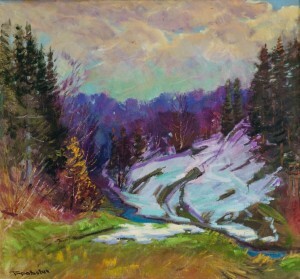 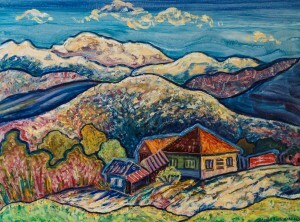 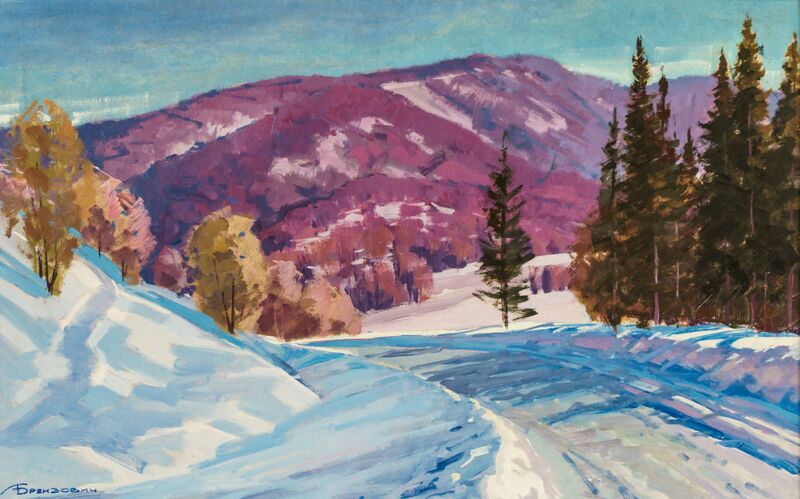 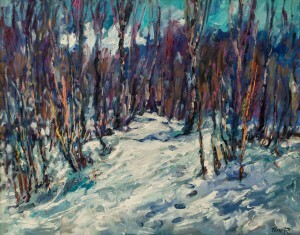 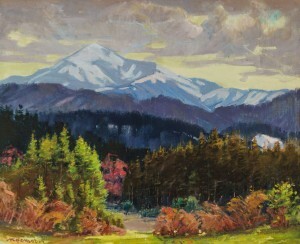 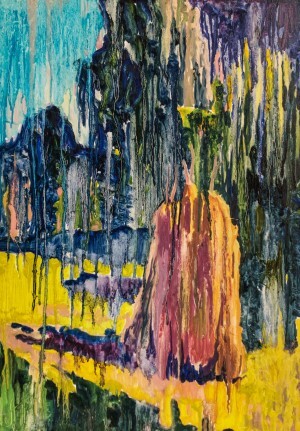 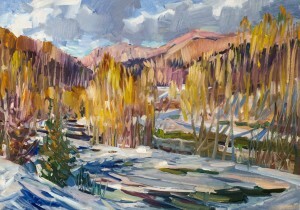 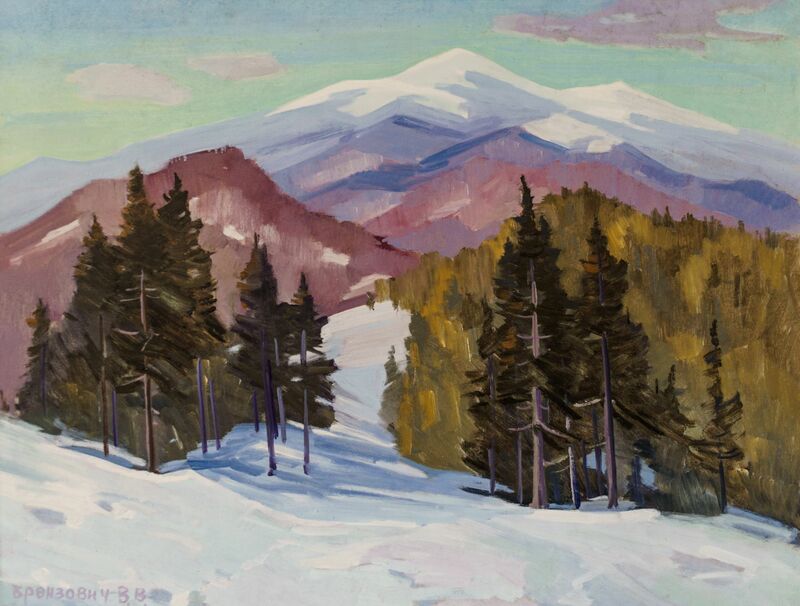 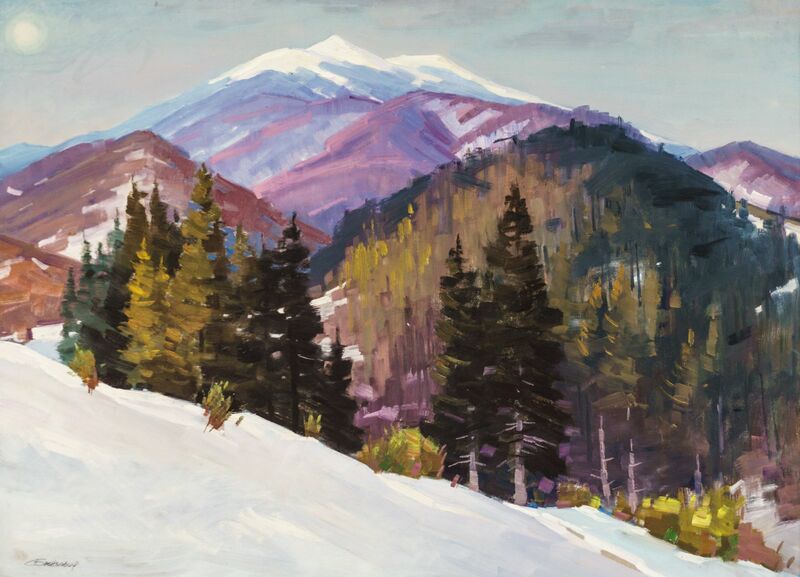 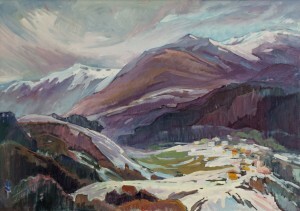 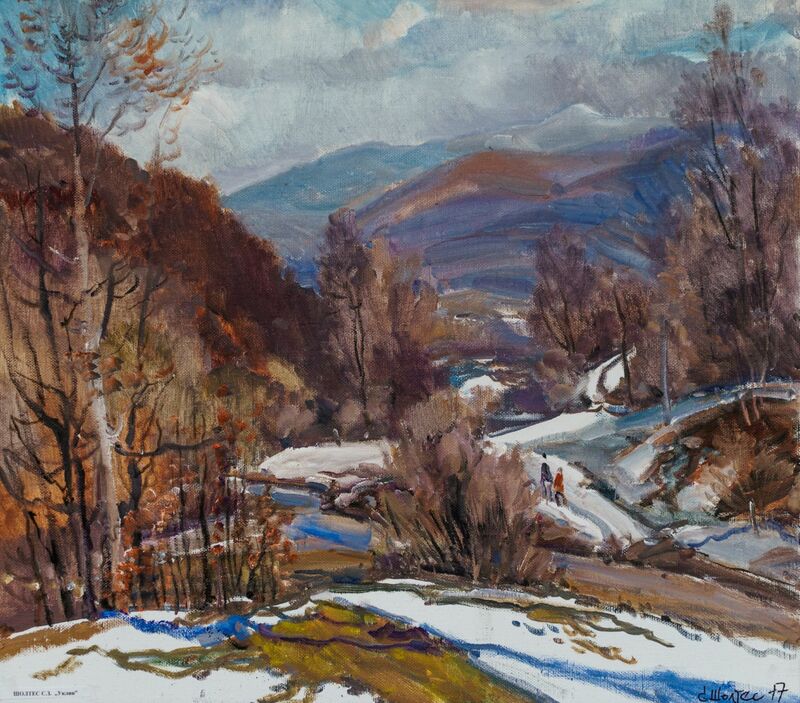 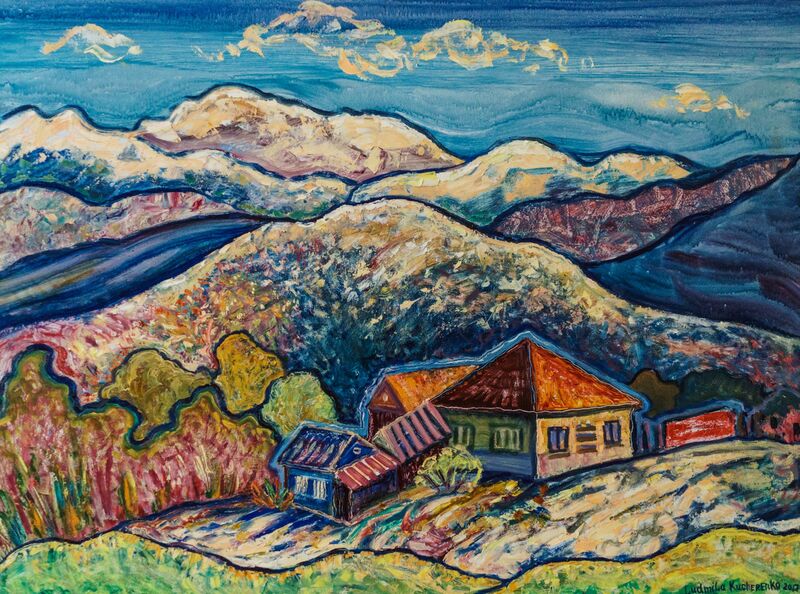 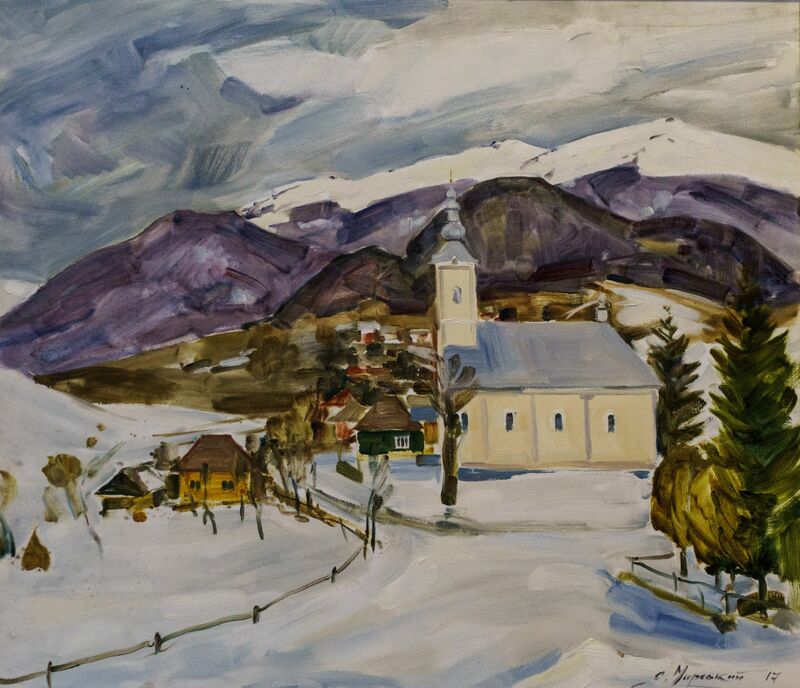 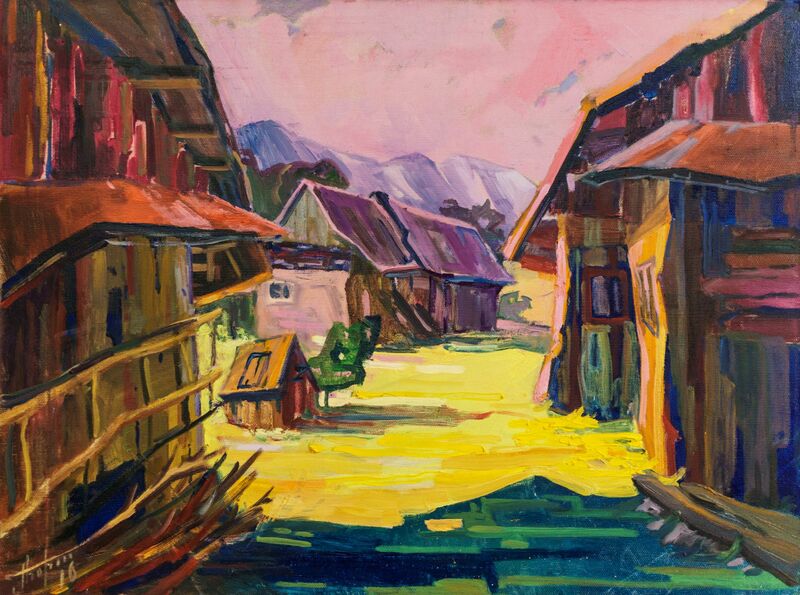 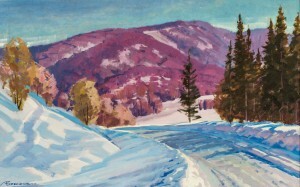 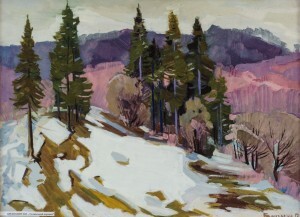 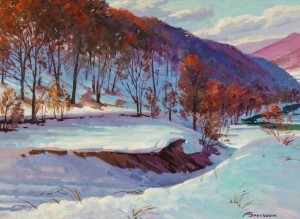 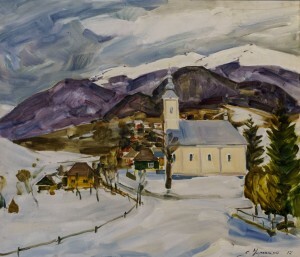 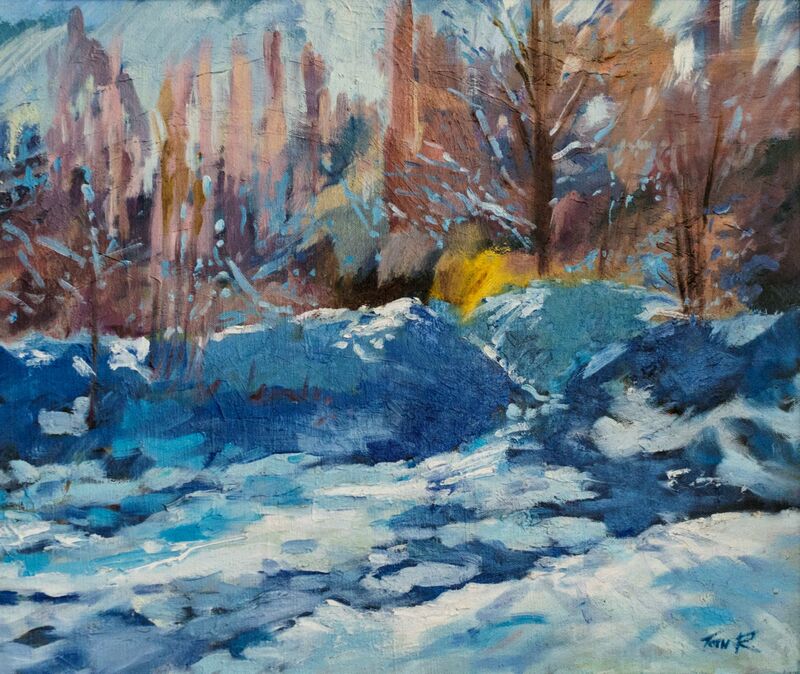 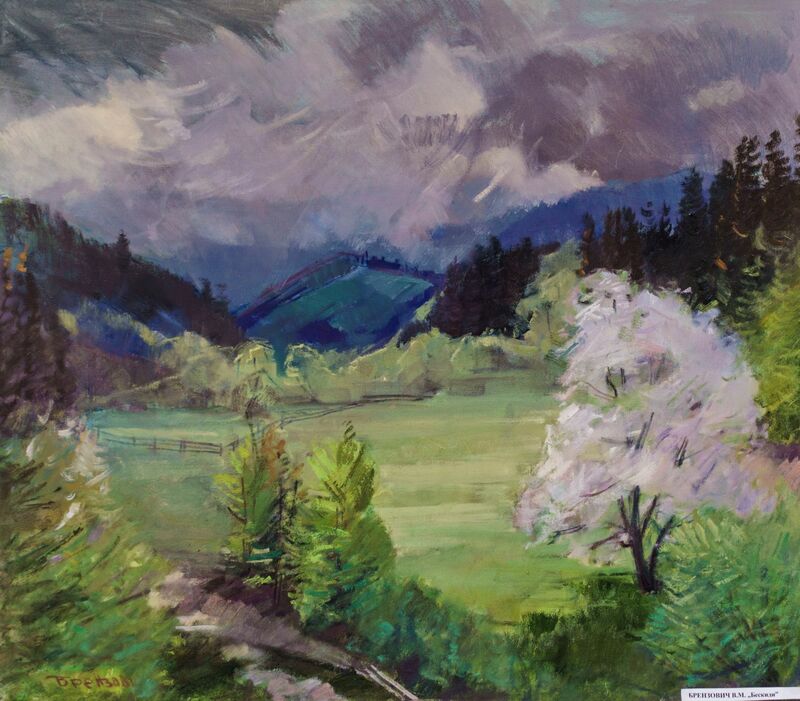 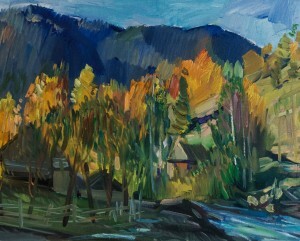 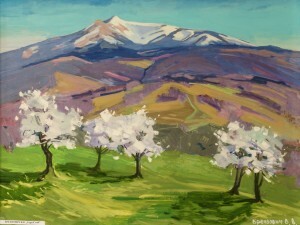 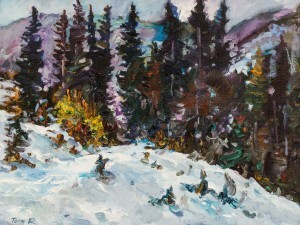 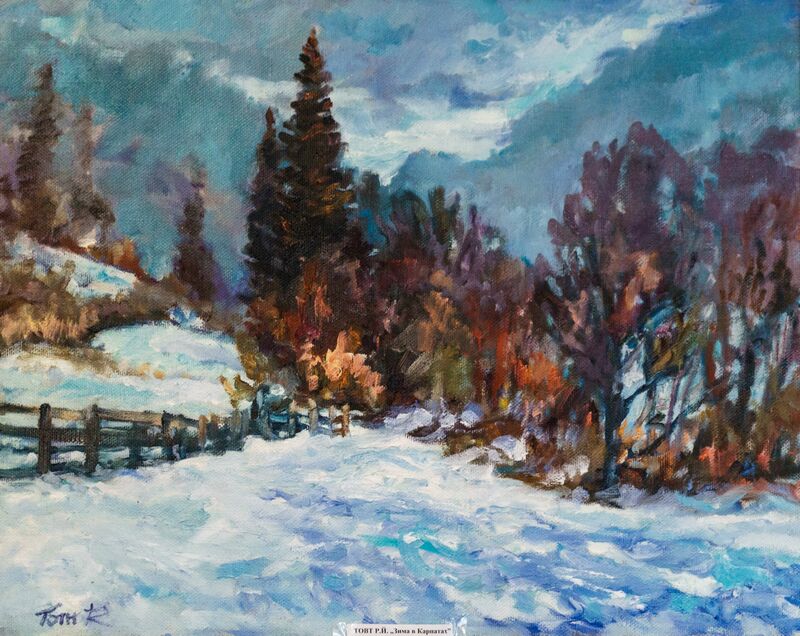 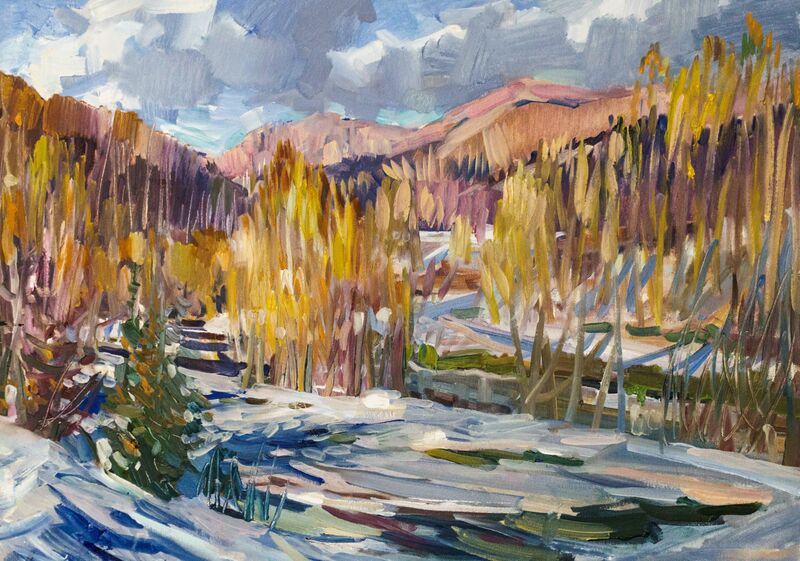 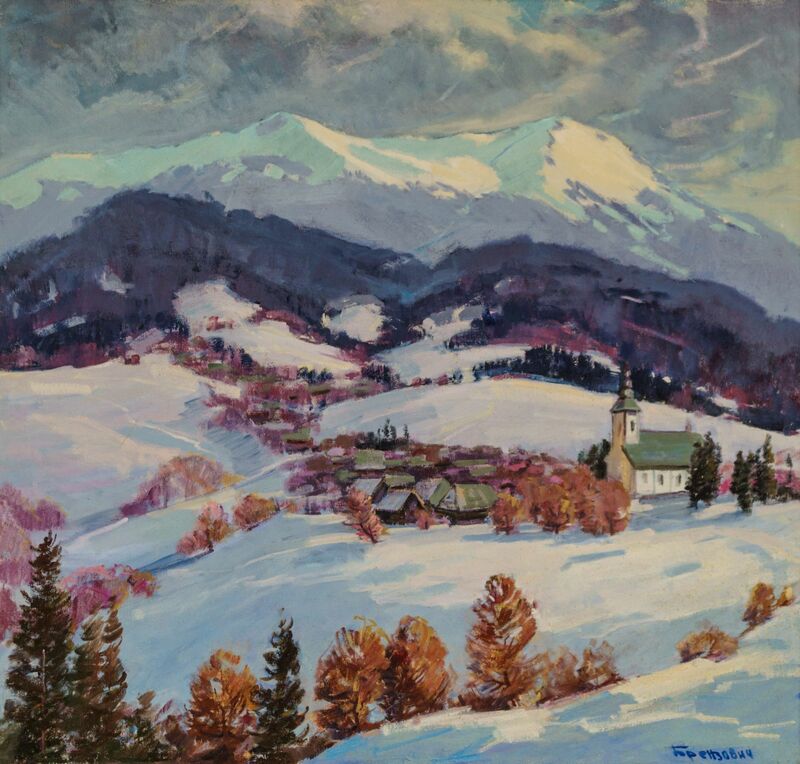 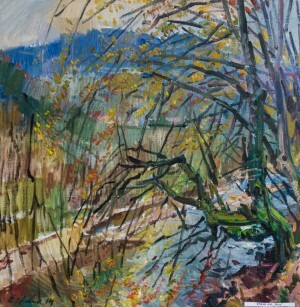 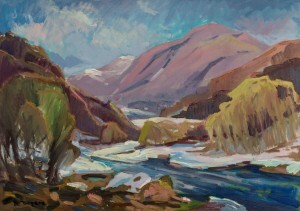 The works presented at the exhibition are the result of winter plein-airs, during which the artists depicted the mountain landscapes of Svaliava, Volovets, and Mezhhiria region. 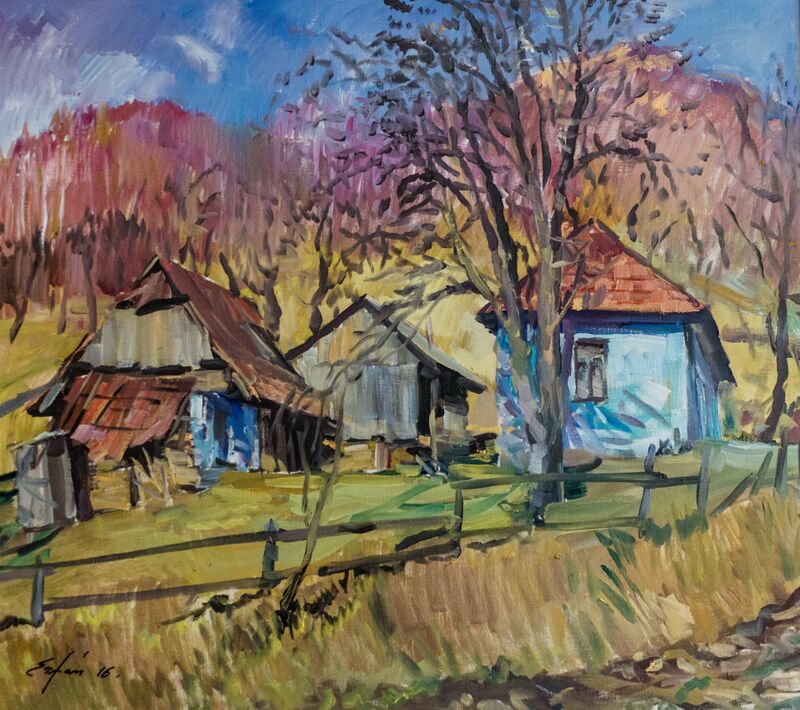 As the head of the Union of Professional Artists of Transcarpathia Vasyl Brenzovych noted during the exhibition opening, plein airs are one of the priority activities of the art association which distinguishes it from the other creative unions of the region and Ukraine. 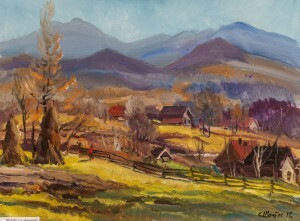 Thus, for 27 years of its existence it was organized almost 200 plein airs, in particular, all-Ukrainian and international. 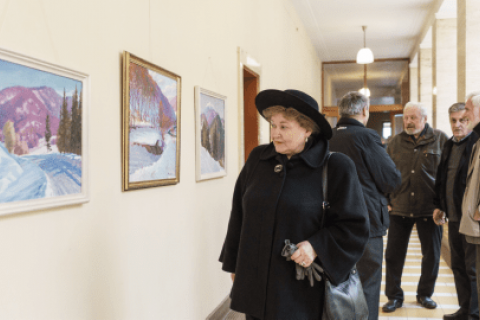 Their creative results were presented by separate exhibitions. 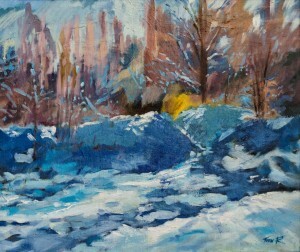 So, this time within two weeks it will be possible to see the creative results of winter 2017. 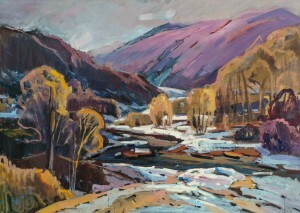 And in a few days the artists of the Union will go to the next spring plein air in Velykyi Bereznyi and Perechyn regions.